WORKTECH: making all of your DIY jobs and repairs just like the professionals. All of our products are tested above quality standards. We use nothing but the best possible chemical compounds to insure quality products. 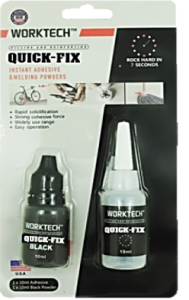 Many professionals within the Automotive and Construction Industry use Worktech Adhesives and Sealants with 100% satisfactory. Worktech’s primary focus is our quality assurance of every product produced. With our high standard in-house chemist, independent R&D and Q&C team, we ensure that nothing but, superior products are produced. Worktech, with its strict regards of respects to all international principles and standard’s is certified by ISO, MSDS.